Maya's life has changed. Her mother is dead, killed in a car accident; she's befriended by Ethan, a boy who claims he's from the spirit world; and now her father is missing. Yes, Maya's life has changed. The fate of the world now depends on her. For children aged 10 and older. Stop! 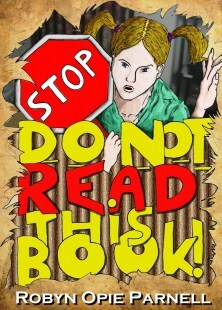 Do not read this book - and help Sam keep her secret. For children aged 8 to 12. Gary is sick of being a loser. He wants to be popular. So, he comes up with the best joke ever. But the joke gets out of control. Soon the whole town is involved. The school is in danger. Gary is too. Can he fix everything before it's too late? 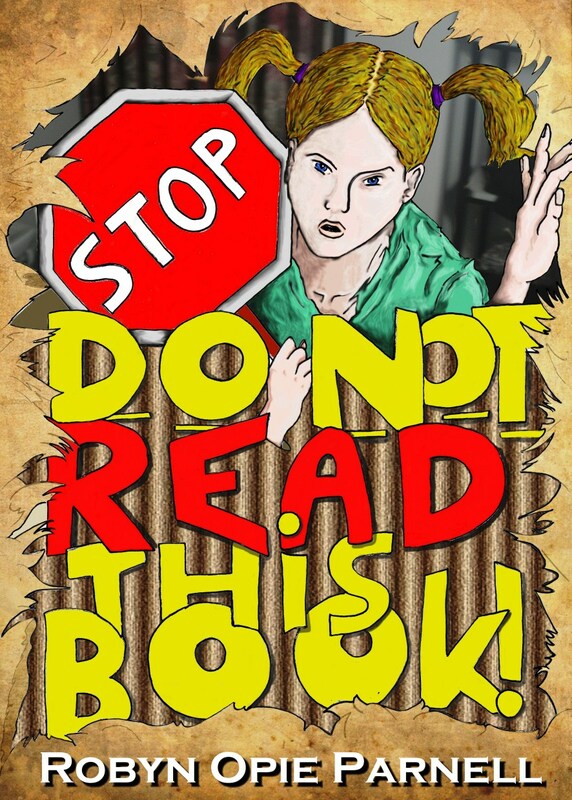 For children aged 8 to 12, or reluctant older readers. 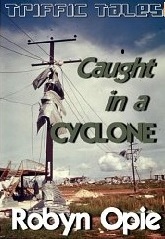 It's Christmas Eve, 1974, when Cyclone Tracy hits Darwin in Northern Australia. Lucy is at home with her parents and her dog, Foxy. As the ferocious cyclone intensifies, Foxy goes missing. Will Lucy be able to save her dog from the storm? Or will Christmas be a disaster in more ways than one? This is a moving tale of one family's ordeal during a true-life event. 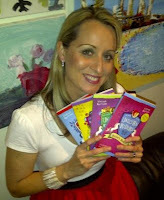 Aleesah Darlison is a multi-published Australian children’s author. She writes picture books and novels, both in the contemporary fiction and fantasy genres. She also works as a book reviewer for The Sun Herald. 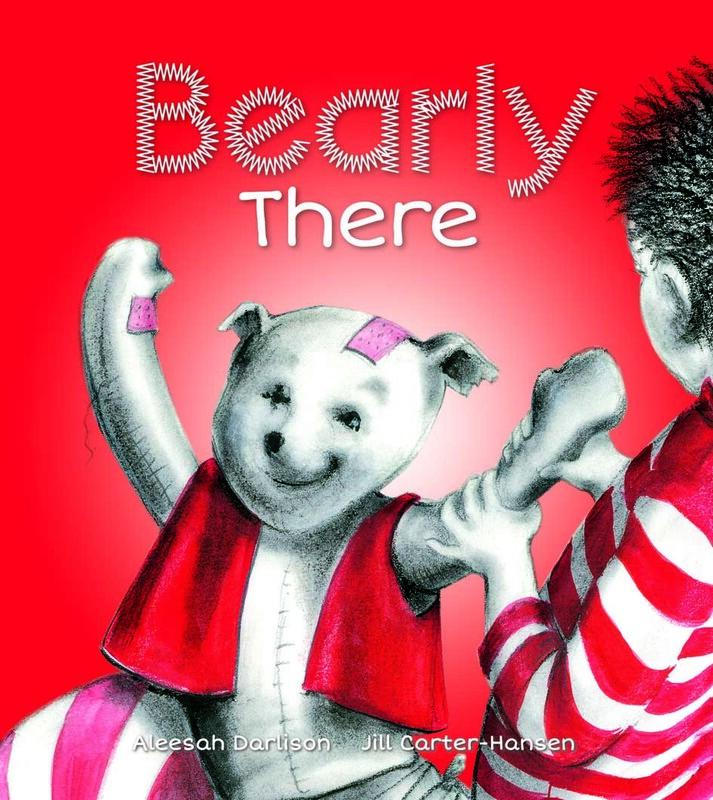 Aleesah’s picture books include Bearly There, Puggle’s Problem (NSW PRC) and Warambi (2012 CBCA Notable Book Eve Pownall Award, 2012 Wilderness Society Award for Children’s Literature - Shortlist). Her chapter books include Fangs and Little Good Wolf. Her novels and popular series are I Dare You, Unicorn Riders and Totally Twins. Here Aleesah answers ten quick questions about herself and her writing. 1. What’s your favorite children’s book of all time? That’s incredibly hard to choose! Classic: I love The Lion, The Witch and The Wardrobe (who doesn’t?). 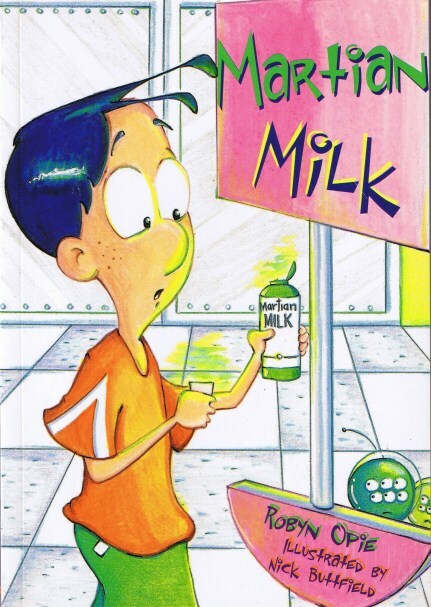 Modern: Diary of a Wimpy Kid – those books really make my kids and me laugh. 2. What’s your favorite genre to write? Again, hard to choose. I love writing picture books because my stories are then illustrated by amazing artists, but I probably do feel most comfortable writing junior fiction for say 8 – 12 year olds. It’s so much fun – I can be a kid again when I write. I spend a lot of time conducting school visits and running author talks and writing workshops, for both children and adults. And when I’m not doing that I’m usually buzzing around trying to maintain my three kids’ busy social lives. 4. What were you good at as a child? I’ve always been an avid reader, so I was pretty good at that. I was also pretty good at swimming and athletics and did well at the local carnivals. 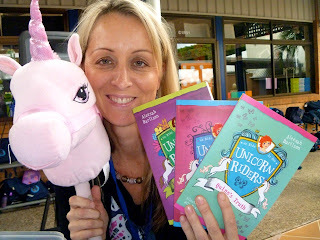 I’m currently editing and reviewing draft illustrations for books 7 and 8 in my Unicorn Riders series. The books are called Krystal’s Charge and Ellabeth’s Light. I’m really pleased with how they’re turning out. They’re fun and interesting stories to write (and read! ), kids love them and my publisher, Walker Books, has an amazing team that I work with. We’re actually planning a family holiday to America for next year. We bought a map to see all the places we could go. I think we’re going to have to be over there for five years to see everything! America is HUGE. But we only have one month. If anyone has any ideas about the best, must-see places in America, I’d love to know what they are. It would certainly help with our planning and our budget. 7. If you could be any type of animal, what would it be? 8. What really gets your goat? Bad drivers. I live in Sydney so there are far too many of them. Especially at this time of year! I’m pretty sure others must feel the same way. 9. What’s the best piece of advice you could give aspiring writers? Don’t ever give up. You never know what’s around the corner, ie a publication acceptance. I received over 400 rejections before I received a book contract. 10. What will be the next book you release? Bearly There. It’s a picture book featuring a boy and a teddy. The inspiration behind the story is my own son, Blake, and his much-loved but rather raggedy teddy bear. The book will be released in March by Windy Hollow Books and is illustrated by Jill Carter-Hansen. Thanks for that. Anything else you’d like to add, Aleesah? For more info about me and my books, people can visit my website at www.aleesahdarlison.com or drop into my Facebook Fan Page and ‘LIKE’ it: www.facebook.com/AleesahDarlisonFanPage. Thanks for hosting me on your blog, Robyn. Readers/followers: please post comments or drop me an email. I’d love to hear from you. Thanks, Aleesah, for visiting my blog and sharing your fabulous answers to the 10 quick questions. All the best in 2013. All the best to everyone! Choosing books for children can seem like a daunting task due to the huge number of available titles. It’s important to make good choices, too, because an inappropriate book can lead to boredom, frustration or both. Certain considerations will help to narrow down the choices. 1. Age Appropriateness - Be sure the topics explored in the book are not meant for a much older or younger audience, and the vocabulary and complexity of sentences and story line are not too difficult to follow or too simple to enjoy. Suggested age ranges can be found on the back of the book, on bookstore websites, or in bookstores and libraries. 2. Level of Independence – If the child will be reading to himself, the book will need to be less difficult than if he is reading aloud to you. If you’re choosing a book to read aloud to a child, you can look at titles that are written at one or two grade levels above the child’s independent reading level. 3. Art – Picture books introduce children to art along with literature; Caldecott Medal winners are children’s books that have been recognized specifically for the quality of the artwork. Remember that picture books are often written at a high reading level because it is assumed that they will be read aloud to the child. 4. Quality – Some bets are safer than others when you’re choosing from books you haven’t read. Look at time tested classics and winners of awards such as the Newbery Medal and the Geisel Award. 5. Topic – You may want to look for a fiction book that goes along with topics the child is studying. A search on any library OPAC or bookstore website will bring up children’s novels and picture books that pull in topics from history, science, social circumstances, and the arts. 6. Non-Fiction – When looking for a non-fiction book, be open to different formats. Since children learn best when they’re entertained, some of the best non-fiction books incorporate humor, illustrations or both. Once you’ve gotten a feel for what’s available, searching for the perfect book for a child can become as enjoyable as picking out a gift for his birthday. If you carefully consider the purpose, difficulty and quality of books, you can confidently select appropriate books for children that will nurture their love of reading. Jason Miner, an expert freelance writer, loves writing articles on different categories. He is approaching different bloggers to recognize each other's efforts through http://www.blogcarnival.com. He can be contacted through e-mail at jasonminer8atgmaildotcom. Gary has three problems at school, Buzz Wilson, Lee Wang and Mr Pittman. Buzz and Lee make Gary’s school life hell. They never cease to seek out ways to embarrass and harass him. Bullies, it seems to Gary, never fight fair or lack imagination when it comes to finding ways to torture him.Mr Pittman makes life in the classroom dull. History is a subject that Gary finds uninspiring, that is until he comes up with a plan to raise his profile amongst his fellow students. Mr Pittman loves history and stories about Bushranger Willy. Gary knows that to fake anything about Bushranger Willy would lead to trouble. So he decides to make a fake treasure map to play a joke on Mr Pittman, and win favor with the class. Gary makes up a plot that he hopes will whet Mr Pittman’s history appetite. Working on the map in secret, Gary is proud of his creation. He can hardly contain his eagerness when the class discovers the map. But not all goes to plan and he has to use his wits like never before to escape the chaos that follows. Robyn Opie has penned a tale that all children will relate to. Bullies in the playground and seeking peer approval are part of growing up. Adults that read this story will find themselves transported back to their early years. The story is action packed with many twists and turns that always entertain. 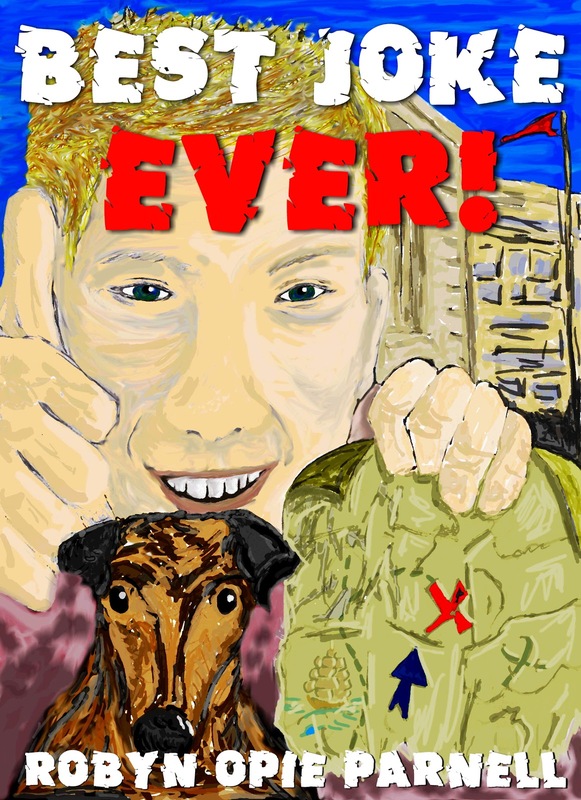 "Best Joke Ever” shows that Robyn has strengthened her ability to write a story that entertains. I recommend this book to those children who seek an adventure when they read. They will not be disappointed. Gary is sick of being a loser. He wants to be popular. So he comes up with the best joke ever. But the joke gets out of control. Soon the whole town is involved. The school is in danger. Gary is, too. Can he fix everything before it's too late? I wrote my first novel when I was fifteen. Around the mid-nineties, I read books and completed courses on writing for children. My first three books were accepted in 1998 and published in 1999. The three books are still available today. They are My Bike, Jen Stays Inside, and People Need Trucks. Thirteen years later, I’m the author of 86 published books. Naturally, I’ve written many, many more that haven’t been published. I’m still hopeful with some of them. Others I now chalk up to experience. Yes, definitely. I loved to read. I still do. Books are the best escape from reality. And we all need to escape from reality. I wrote my first children’s book when I was fifteen. My English teacher gave me an “A” for every essay I wrote. One day, as he handed back an essay, he said to me, “You should be a writer.” Talk about a light bulb moment! I went home and wrote my first novel. It was a mystery, like an Australian Nancy Drew – too much like an Australian Nancy Drew! The rest of my journey was described in question 1. Not working in an office from 9 to 5. I love the freedom. I love being able to do anything and go anywhere. I’m talking about my imagination. I can have great adventures, from the comfort and safety of my recliner chair. I love being able to explore ideas, themes, subjects, times and places. Being a writer opens me up to anything, all sorts of possibilities, anything can happen. In my novel Backstage Betrayal, I explored a fear of mine. 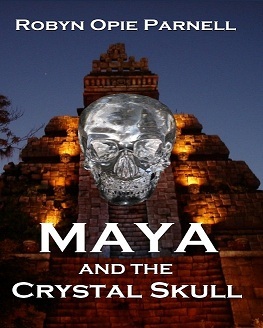 In Maya and the Crystal Skull, I traveled to Mayan ruins in Central America. I also defeated the villains and saved the world. In Working Like a Dog, I focused on one of my favorite things. In Black Baron, I tried to save an animal from the ultimate cruelty – extermination. I did all of these things from the comfort and safety of my recliner chair. Basically, I get to dream every day about the things I’d love to do and occasionally about some of the things I’d hate to do. Oh, and I love still being a kid! CLICK HERE for the remainder of my interview on Clancy Tucker's blog.